The University of Torino, with the support of the European Commission and the banking foundation Compagnia di San Paolo, has launched ‘PhD Technology Driven Sciences: Technologies for Cultural Heritage (Tech4Culture)’, a new doctoral programme in ‘Heritage Sciences’, specifically focused on technologies applied to Cultural Heritage. The second Call for Applications is now open and the deadline is 7 May 2019. Tech4Culture is funded under H2Q20-MSCA-COFUND. The PhD Programme aims to create experts able to develop technological solutions for the restoration, the diagnostics, the use and promotion of cultural heritage, with a direct impact on both regional and national research systems. The Doctoral Programme will attract in total 18 transnational incoming mobility early-stage researchers through two calls for applications by offering them the opportunity to carry out their own research project, to attend a unique interdisciplinary scientific training, training on soft skills and experience short-visits and secondment periods. Tech4Culture will contribute to the development of personal transferable skills of awarded fellows and will train them for academic and non-academic sectors. The first Call for Applications (2018) awarded 8 fellowships. The second Call for Applications is now open and the deadline is 7 May 2019. This Call will assign up to 10 fellowships. 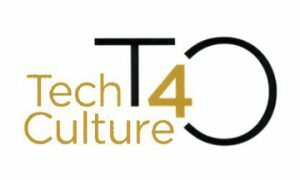 All useful information is available at www.tech4culturc.unito.it. Eligible applicants will have to submit project proposals according to programme rules through the dedicated website platform.